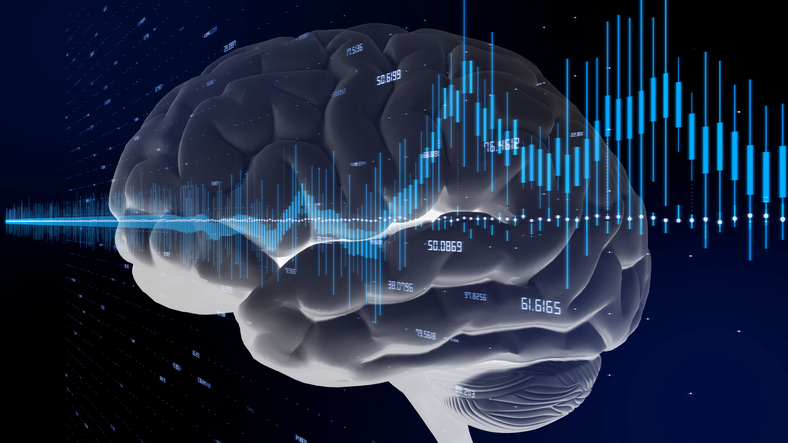 San Diego Center for Neurofeedback, A Psychological Professional Corporation provides information and updated news in this Neurofeedback blog. Neurofeedback can help you with anxiety, depression, PTSD, TBI, migraines, sleep issues, ADHD and many more issues. The brain is a wonderfully complicated, three pound organ that controls all functions in our body. Our brain controls everything from automatic functions, such as breathing and controlling hunger, to higher functions, such as planning and organizing. Our brain interprets information from the outside world through our five senses of sight, smell, touch, taste, and hearing, and assembles that information in a way that makes sense for us, and can be encoded and stored into memories. Thanks to continuing advancements research, we continue to learn more and more about the brain and its complexities in functioning. Here, we will cover just a few of the different areas of the brain in order to better understand the influence our brain has on our day to day lives and how it is related to Neurofeedback. The brain is made up of many different parts that work together, but each part is an expert in the job they have been designed to do. The brain is composed of three main parts, the cerebrum, cerebellum, and brain stem, with many other systems in place within these three main parts. The cerebrum is the largest part of the brain and what we usually picture when we think about the brain. It is composed of the left and right hemispheres that are joined together by the corpus callosum, which allows messages to be transmitted from one hemisphere to the other. These messages are called neurotransmitters. Neurotransmitters and sent and received by our brain cells called Neurons. There is a saying that, “neurons that fire together, wire together”, meaning that the more that certain neurons communicate with each other, they begin to generate neural pathways. These pathways and connections can change and are influenced by our experiences, and which is why our brains are referred to as having neural plasticity. This explains why long time habits are hard to change, but also shows us that we have the ability to influence these pathways with our behaviors and actions. The left hemisphere is commonly referred to as our “logical brain” as it is responsible for analytic thought, logic, language, numbers and reasoning. The right hemisphere is known for being the more artistic and creative brain as it is involved in creativity, imagination, intuition, and emotional intelligence. The cerebrum contains the cerebral cortex, which is made up of tightly packed neurons, or brain cells, and is the wrinkly outermost layer of the brain. The cerebral cortex can be divided into four different lobes. The occipital lobe is responsible for processing visual information from the eyes. The temporal lobe is responsible for processing auditory information. The parietal lobe is responsible for processing information that has to do with taste, touch, or temperature. The prefrontal-cortex is different from the occipital, temporal, and parietal lobes as is it not directly involved with processing sensory input. In fact, the prefrontal cortex is responsible for higher order mental functions such as judgement, decision making, planning, future-oriented thinking, and time management. Research has shown that in those individuals diagnosed with Attention Deficit Hyperactivity Disorder (ADHD), there are often correlating issues with the prefrontal cortex, such as decreased activity, decreased size, or under-regulation. The prefrontal cortex is also one of the last parts of our brains to develop, and does not become fully developed until we are about 25 years old. This is especially helpful to remember when thinking about children and teens when “problem” behaviors like impulsivity and poor decision making are common. They lack the part of their brain that helps them slow down and make informed choices about what is right or wrong, mediate conflict, or predict probable outcomes of an event. The cerebellum is located under the cerebrum and is involved in muscle coordination, balance, and posture. The brainstem connects the cerebrum and cerebellum to the spinal cord and regulates automatic functions such as heart rate, breathing, body temperature and wake and sleep cycles. The Limbic System is another complex set of structures located just underneath cerebrum, compromising inner sections of both the frontal and temporal lobes. The limbic system combines higher mental functions, such as learning and formation of memory, and primitive emotions into a single system. The Amygdala and Hippocampus are two of the major structures within the limbic system. The Amygdala is a small, almond shaped structure responsible for assessing and processing the emotional valence of a situation. The amygdala is the part of the brain that is especially good at detecting fear and as a result, activates our fight, flight, or freeze mode, in order to protect ourselves from the detected fear. Although this part of the brain is designed to protect us from danger, overactivation of the amygdala can cause problems for people. For example, research shows that people who struggle with Anxiety disorders often have hyperactive amygdalas, which is responsible for the overestimation of fearful or dangerous situations that those with Anxiety disorders often struggle with. The Hippocampus plays a critical role in the formation, organization, and storage of new memories as well as connecting sensory input and emotions to those memories. Damage to this area of the brain can result of loss of memory and difficulty establishing new memories. Researchers have been interested in the role that PTSD plays on the limbic system and vice versa. Research has found that there is reduced volume and activity in the hippocampus and increased activity in the amygdala. This explain why those with PTSD often have trouble remembering certain details of the traumatic event or often experience intensely vivid and always present memories of their trauma. The increased activity in the amygdala promotes hypervigilance and impairs the ability to discriminate threatening and non threatening stimuli. How is this related to Neurofeedback Treatment? 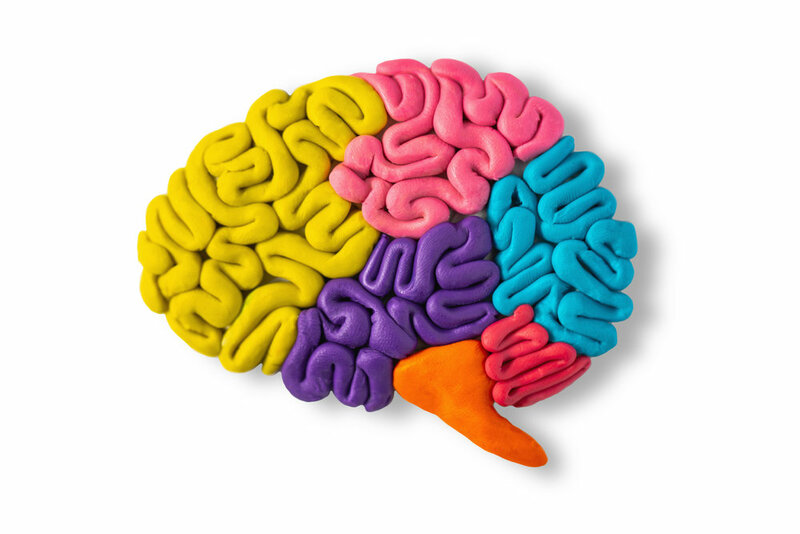 All of this information on the brain and its functioning determines Neurofeedback treatment. For example, if an individual struggles with emotional reactivity and regulation, treatment would include electrode sites on the right side of the brain. If negative thoughts are a common symptom, treatment would include electrode sites on the front-left part of the brain. Neurofeedback works to optimize your brain functioning at these specific sites, based off self-reported symptoms. Contact us today to hear more information about Neurofeedback and how training your brain may help yourself or a loved one with symptoms you or she may be struggling with . ~Written by Alex Stautzenbach, M.A. Sherin, J. E., & Nemeroff, C. B. (2011). Post-traumatic stress disorder: the neurobiological impact of psychological trauma. Dialogues in clinical neuroscience, 13(3), 263-78. In the article “Therapists are using neurofeedback to treat ADHD, PTSD and other conditions,” Arlene Karidis describes the life of Chris Gardner and how he got brain surgery to remove a tumor. However, this operation restricted the 58-year-old’s mobility and cognition until he tried a form of biofeedback, called neurofeedback, that is a brain exercise based on brain waves and immediate feedback on how the brain is functioning. For example, movies, video games, computers and other equipment can be used to monitor ones brave waves in a sense that when a number of one’s brain waves are displayed to be too fast or too slow, the movie is automatically paused in order to gain control of a steady number of brain waves once again and to test why this erratic change happened in the first place. Although there are other skeptics, such as Silver Spring psychologist Robb Mapou, who think there are other therapeutic ways to affect an individual’s outcome, many scientists and researchers believe that this stop-and-start feedback decreases the number of infrequent brain waves and yields them to a more-normal number which can improve an individual’s ability to focus and relax. Karidis affirms that “better focus and relaxation can seemingly help improve or eliminate such conditions as migraines and anxiety,” which could all an all improve one’s quality of life. Chris Gardener: he was projected to have a two-to-three-year recovery period, but by his ninth neurofeedback session, he was driving, taking power walks and working from home. He went from not feeling anything to being able to do almost everything he could do before. Karidis elucidates upon Gardner’s case where he sat in a chair while tiny, pulsed signals were sent to his brain that would enable the brain to revive its communication channels (which can become impaired after a brain injury). Thomas Nicklin: a teenager who was in boarding school, did 45 neurofeedback sessions over three months last year (Karidis).“Over time, Thomas went from three or four blinding migraines a week, vomiting and daily pain, to no symptoms,” said his mother, Pat Nicklin, because of the neurofeedback. Mary Lee Esty, a Bethesda clinical social worker: who is starting up a study which would help treat veterans with PTSD. She has used neurofeedback to treat more than 2,500 people with the help from the Uniformed Services University of the Health Sciences (which gives participants in her program post-treatment evaluations). Rex Cannon, past president of the International Society for Neurofeedback and Research, based in McLean, Va.: discovered that after neurofeedback treatments a significant reduction in seizures had occurred in a meta-analysis of 10 studies on epilepsy patients. These are just a few examples of patients and experts that have experienced and seen the promising results of Neurofeedback. But if “about 1,850 professionals have been certified through the Biofeedback Certification International Alliance” (Karidis) than at least 1,850 patients can be helped with sessions two or three times a week, for a total of 10 to 40 in 1 to 4 months. Do most people become totally normal? We don’t necessarily know. We also know that normal is vague and vastly different from one person to the next. But they can see an improvement on their symptoms by taking part in neurofeedback treatments. Neurofeedback is able to help children, teenagers, and adults who have symptoms of ADHD, migraines, sleep issues and more. If your symptoms have not improved enough to meet your goals, your brain may need some training. Neurofeedback can train your brain to regulate, stabilize and focus itself so you're able to function at your optimal level, concentrate better on your tasks and follow directions that are given to you. Contact us for more information on how Neurofeedback can help you and your family find the focus you need to function at your best. Have You Ever Been So Tired You Can't Sleep? Truck driver Joe Diemand (76) feels that way all the time. Working long and late hours like Joe or working the night shift have even been called carcinogenic by the World Health Organization. U.S. Center for Disease Control recommends at least 7 hours of sleep a night and reports show that more than 80 million Americans are sleep deprived. Just look at the spike in fatal car accidents and heart attacks (increases 24%) the Monday after day light saving time! We have an internal molecular clock that is set to mirror and stay in sync with the sun. Because of technology and brain imaging, these three Nobel Prize (2017) winning scientists discovered this so called circadian cycle and it is now known that disruption to this cycle can lead to things like diabetes, heart disease, and dementia. Disruption to this sleep cycle is due to our eyes and their exposure to certain light at certain times. I can't help but feel guilty as I stare at my computer screen late at night while reading about the negative affects of reawakening my wake cycle through exposure to this type of light. According to the most recent National Geographic, Michael Finkel states light at night inhibits the production of melatonin, the hormone that helps regulate our daily biological rhythms. Insomnia is the main reason 4% U.S. adults take sleeping pills each month. But there is research to show that people who generally take longer to fall asleep, wake up for prolonged periods during the night, or both do not need medicine. Neurofeedback has been shown to improve sleep . The engine of our brain, the prefrontal cortex, is the first to begin to deteriorate when we do not get enough sleep. Finkel reminds us that this is the home for our decision-making power and problem solving abilities. It's no wonder why we are cranky when we are tired. Chiara Cirelli (a neuroscientist at the Wisconsin Institute for Sleep and Consciousness) tells us, “Every cognitive function to some extent seems to be affected by sleep loss.” So, what better way to improve symptoms of sleepiness than by training your brain with Nuerofeedback which directly addresses symptoms for each individual client by focusing on certain parts of the brain that need strengthening. Using certain electrode site placement on the head and frequency levels, people report improvements in falling asleep, staying asleep and quality of sleep after the recommended 20 sessions of Neurofeedback. These sessions in turn improve a healthy lifestyle as lack of sleep can induce overproduction of ghrelin, the hunger hormone, and can lead to obesity. Even those who get 6 or less hours of sleep per night are at higher risk for depression, psychosis, and stroke. Neurofeedback has not only been reported to help with sleeplessness but also these exact diagnoses. A common symptom of ADHD is daytime sleepiness (Timimi & Leo, 2009). This symptom served as a predictor for homework problems and academic impairment in adolescents with ADHD (Langberg, Dvorsky, Marshall, & Evans, 2013). Those with Autism have also having difficulty falling asleep and experience disturbed sleep once they do. ASD has also been linked to anxiety and depression. Neurofeedback addresses any dysregulated state of the brain and research has shown it improves many symptoms of these disorders. In this case, if you snooze, you don't lose! Biofeedback is now a "Level 1 - Best Support" for Attention and Hyperactivity behaviors or ADD/ADHD interventions based on The American Academy of Pediatrics (AAP). Other treatments such as Behavioral Therapy and medications are considered "Level 1- Best Support" treatments as well. Based on the dysregulation model, neurofeedback addresses common symptoms of ADHD like inattentiveness and impulsiveness by "brain training" and helping to regulate brain activity. Not only can neurofeedback address behavioral, academic and emotional symptoms, it can help regulate our sleep to allow for the full potential of " playtime of the brain" (Finkel, 2018). Sleep Help guides and tips are a great place to start, and if you'd like more information on how neurofeedback can improve quality of sleep, contact us today. ~ Written by Hannah Berry, M.Ed. References: Finkel, Michael. (2018). "While we sleep, our mind goes on an amazing journey." National Geographic, Aug. 2018. Timimi, S., & Leo, J. (2009). Rethinking ADHD: From brain to culture. Palgrave Macmillan. Neurofeedback trains your brain for optimal health & performance to help self-regulate from adhd, add, anxiety, depression, autism/aspergers, sleep issues, migraines, ptsd, sensory integration, trauma, allergies, and much more. The American Academy of Pediatrics (AAP) has announced that biofeedback is now a "Level 1 - Best Support" for Attention and Hyperactivity behaviors or ADD/ADHD interventions. The AAP determines which evidence-based psychosocial interventions are the best treatments for children and adolescents. Other treatments such as Behavioral Therapy and medications are considered "Level 1- Best Support" treatments as well. See AAP Evidenced-Based Interventions for more information. EEG Biofeedback is considered the "20-Hour Solution" for ADD/ADHD. If you would like to learn more about ADD/ADHD and how neurofeedback can help - read this book. It's very well-written and informative. This book describes how Neurofeedback can significantly help decrease ADD/ADHD symptoms in 20 hours. Research has shown that many children stop taking medications due to brain training and regulation. Aug 9, 2018 Have You Ever Been So Tired You Can't Sleep? Aug 28, 2014 What Exactly IS Neurofeedback? Jul 26, 2017 Who is Brian? Jun 2, 2013 Opening August 2013!